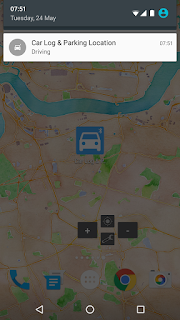 Car Log & Parking Location for your car and Android phone. 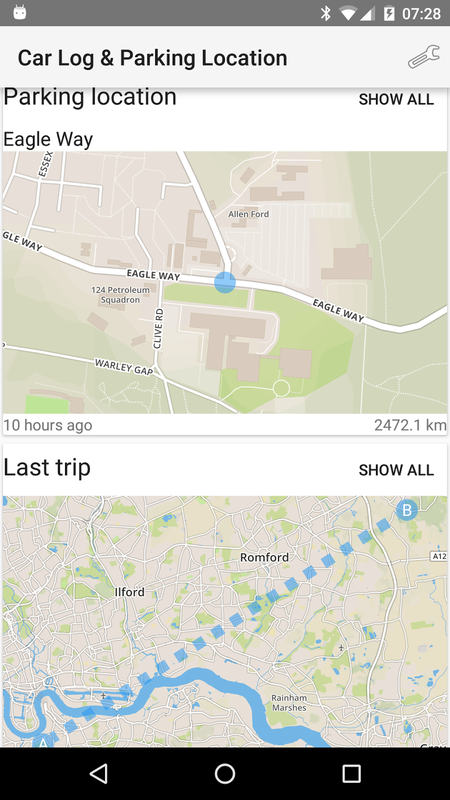 Every time you start and stop your car engine, your Android phone connects and disconnects to your car bluetooth, and CarLog remembers your car location and your trips. You do not need to manually touch buttons to save your car location. All you need to do is link your phone to your car bluetooth. 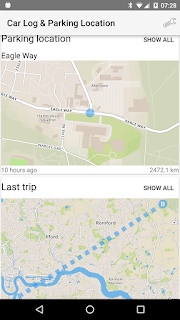 You can build route to your car with any map and navigation app. This is connected car and car finder application without any dongle.